You probably found yourself landed on this article because you know how painful being in toxic relationships can be. It can be even more so around the holidays when we spend them with such toxic people whom can be those closest to us. That’s one reason it is so hard to break free from toxic relationships, but far from the only one. Toxic relationships can be with anyone that we have a relationship with, whether that be family, friends, colleagues, housemates or other. If you’re not sure whether or not you’re in a toxic relationship, read our article that explains the signs of a toxic relationship. We spent our time and energy on someone who doesn’t reciprocate, and no matter how hard we try, they are never satisfied. Low self-esteem leads us to believe that we can’t hope for any better. The time you spend on the wrong person would be better spent on making an effort to attract the right person, one who appreciates you for who you are, who is going to respect you and who knows how to reciprocate. This person can’t come into your life if that space is already filled. You may not know when they will come or who they are, but they are out there, somewhere, waiting for you to let go. This is one of the biggest mistakes people make when deciding to maintain a relationship. They just can’t accept the fact that, while yes we can encourage people to make changes, we can’t force them to change. This person won’t change unless they start admitting they haven’t treated you properly. Even admitting to having made a mistake isn’t enough – it just isn’t the same as making an actual effort to change. A promise to change is not tantamount to change. It’s hard to accept that breaking free from a toxic relationship or friendship will hurt. The fear of loneliness is an innate one that is not easy to overcome. It is human to not like that feeling of loneliness, which is different to feeling alone. We can be alone without feeling lonely. Therapy may be beneficial to work through this fear if this is the reason you can’t let go. Therapy can help you to address any underlying issues causing the fear of loneliness or being alone such as abandonment issues. It is also a beautiful thing to learn that we are never truly alone when we are connected with our true self. The good news is that the hardest part of being alone is getting over the fear and initial discomfort. Your fear magnifies the actual discomfort. It becomes much easier once you get past that stage. If you are being treated poorly, ignored, or neglected – or even worse, abused – there’s no point of being in the relationship at all. It can and will make you sick. If you’re in a toxic relationship and your partner doesn’t agree to therapy, you need to accept that he/she will probably never change. That’s when you need to make a choice. Either you keep trying to live with him, or try to move on. I am not suggesting you don’t even make an effort to save the relationship, but if you are repeatedly being hurt without the other person improving themselves, it may be difficult to save. Friends can be just as toxic as partners. Maybe you’re that one person everyone flocks to for comfort and advice, being the good friend you are. Your friend or friends are always calmed and comforted after a talk with you, and the talks are usually in the early hours. But don’t you feel exhausted after them? What your “friend” has done is unloaded her negative energy on you so she doesn’t have to feel bad. Where does that leave you? I’m not suggesting you shouldn’t be there for your friends when the going gets tough. Showing compassion is a wonderful thing. It only becomes less wonderful when it’s one-sided in a relationship or friendship. And when it happens too often. Every interpersonal encounter affects us in some way. People with positive energy make us feel happy, optimistic and reassured, and vice versa. What happens when you keep seeing people who have become moody, depressive, or angry? In time, you will find these moods and emotions can be catchy. It isn’t so hard to identify chronically irritable, anxious, or pessimistic people in your social circle. Yes, they could be under a lot of pressure at this time in their lives. This is no excuse for letting their negativity spill over onto you on a regular basis. Plenty of people go through tough times without persistently unloading on their friends, partners or relatives. Some are so self-composed that you wouldn’t even know they were going through something painful. Once you acknowledge the impact of these people’s emotions on your feelings, you’ll understand the need to move on. Toxic relationships can leave you emotionally and mentally depleted because you take in negative energies just as you breathe the air. This is a great tip for those of you who aren’t quick to process your emotions. It doesn’t mean you’re deficient in some way. Sometimes it just takes you a while to realize you feel a certain way, or the realisation is fleeting. It’s actually very common. Make and keep a record of things that make you feel bad. Every time you see a friend, record how you feel after. If it emerges you are feeling consistently bad, as in almost every time after you have dinner together, you will probably work out that this person is draining you and probably shouldn’t be in your life, or at least to the extent that they are. Easier said than done, right? Here’s how to find out if you’re in denial. Ask yourself whether you feel energised or drained after seeing your friend or partner. Do you want to spend time with them or do you feel it’s an obligation? Do you see them out of pity? Are you always disappointed by things they say or do? Are you giving more than you are getting? If you didn’t know them, would you want to be their friend / partner? Toxic relationships have hidden, subconscious benefits, otherwise we wouldn’t stay in them. This may sound really strange to hear at first, perhaps having you ask yourself the question of “why on earth would I intentionally want a toxic person in my life?” Find out what you are specifically getting out of this relationship. Does this person make you feel comfortable in your own low self-esteem or negativity? Does this person make you feel more attractive? Does she/he remind you of your abusive father, therefore bringing you a comfort level? Is it better to be with this toxic person than being “alone”? Does this person make you feel like that without them, you would have no one? Does this person make you feel guilty if you were to not be friends with them anymore? Don’t surround yourself with just anyone. You need the right kind of friends that you feel are healthy for you. These are people not in toxic relationships, with clearly defined boundaries. The risk of getting sucked into or stuck in a toxic relationship for those with friends also in such is very, very high. So be wise when choosing your circle. Give yourself permission to have healthy friendships and relationships! Now that you’ve determined what benefit you were receiving from this relationship or friendship, it’s time to find alternative sources of comfort and peace. There are more than you think – some examples are writing, making jewelry, practice meditation or mindfulness, playing with a pet, listening to music, practice yoga, learn a new language, plan a travel destination, learn to be comfortable in your own company (particularly by spending time in nature! ), and remind yourself that your sadness won’t stay forever. Breaking free of toxic relationships will bring some feelings of guilt and shame with it. It will also bring feelings of doubt. You will find yourself wondering, “Was he/she really so bad?” You’ll even find yourself missing them sometimes. Breaking free goes hand in hand with lots of “inner child” work. By this I mean: Many people have found solace in imagining they are little children and an adult is comforting them. You, the adult, are comforting your inner child. Our fears of loneliness usually go back to our early childhood, when we were somehow neglected or abandoned. I don’t necessarily mean this in the criminal sense of the word, tantamount to abuse – there is that sometimes – but neglect has many forms. Neglect also exists when a parent is emotionally distant, or where there is an unhealthy attachment pattern. In fact, most people in toxic relationships had non-adaptive attachment styles with their parents – fearful, dismissive, avoidant, etc. As adults, our attachment styles mirror the ones in childhood. Our parents were either too close or not close enough to us. They wanted to be very close, but felt we weren’t reciprocating. No matter what we did, it was not enough. It wasn’t enough to have straight A’s, it wasn’t enough to be valedictorian, etc. And we spent the rest of our lives compensating. Our toxic partner or friend has taken our parents’ place, making the same demands and requests and making us feel ashamed for never doing the right thing. Acknowledge whatever inner pain leaving this relationship is bringing up for you, and do the inner work to heal this emotional trauma. Other affirmations include “I have a good heart” and “I am a good person.” These are especially effective when you start feeling guilty about not giving more to a friendship or relationship. Focus on the toxic relationship that’s draining you and write a letter to your partner or friend, of whom you want to be freed. Pour out your feelings onto a piece of paper. The letter can be as long or short as you want. Finish with, “I free myself of you for eternity. Thank you for helping me learn and grow.” Then tear it into shreds or burn it. It is a surprisingly comforting ritual. Also, write down how you want to feel in relationships and life in general. If you don’t really know how you want to feel on the whole, begin with just the near future. How do you want to feel this week or month? Physical cleaning is necessary if you want to let go of and forget the past. You shouldn’t be reminded of that person in any way. Sell or donate any presents you got from them. Start devoting time to things that are important to you and you will start meeting the right people —people who see and appreciate you for who you really are. The last step of letting go is preparing for resistance. This will come both from you and the person you’re trying to let go of. You’ll be coming up with reasons to stay in the relationship and hold on to things they gave you, or belongings that somehow remind you of them. They will also be reaching out more than usual because they can sense you’re trying to break free. If this is happening, you may need to be frank with them and tell them why you have decided to move on. The entire process may seem overwhelming, but it is a normal part of letting go. If you are still struggling in a toxic relationship or friendship, please contact and make an appointment with me, Ashley Gilmour, your Gold Coast Clinical Psychologist. I’d be happy to help you through this life’s journey. I have proven approaches, targeted at giving people relief from feelings of angst and loneliness. Once you have been freed of the qualms and the guilt, you will be able to move on. 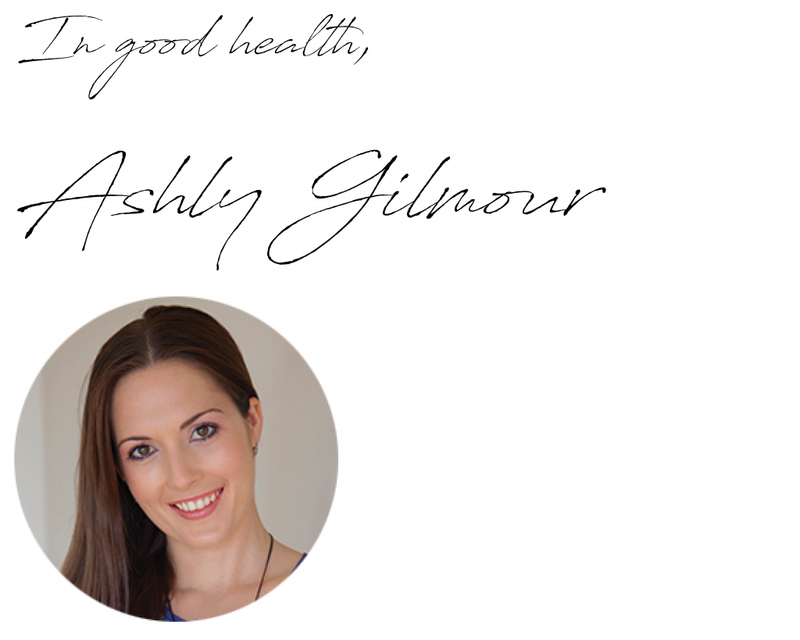 If you find yourself struggling with dealing with stress, contact us today on 07 5574 3888 or email [email protected] to discuss how Ashley our Gold Coast Psychologist can help you develop healthier food mindset and habits. This entry was posted in Blog Article, friendships, relationships and tagged anxiety, depression, friendships, relationships, toxic.